Great collection of photos you have here Harry! You\'ve been to some extraordinary places, and captured them well. Your outlook on life is an inspiration too. I look forward to watching this collection grow! I "second" Toxic Lens\' opinion! 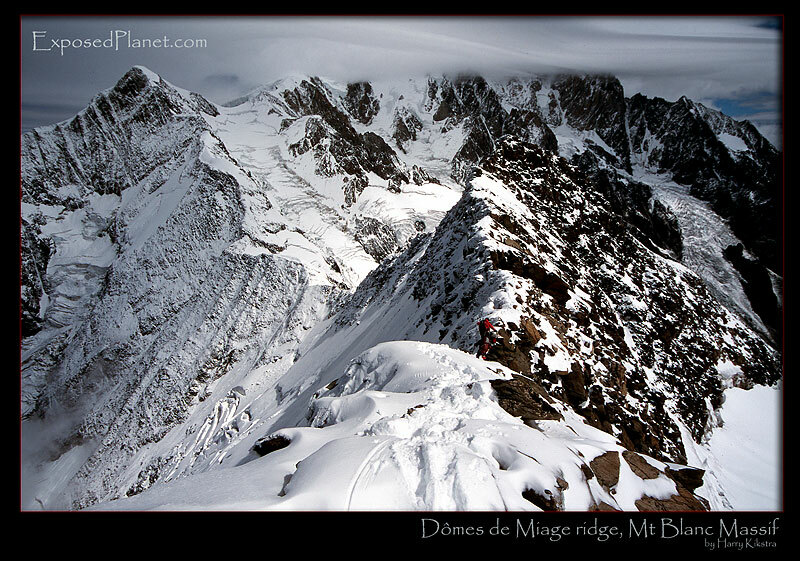 The story behind "Climbers on Dome de Miage ridge, France"
The summer was so dry in 2003 that even the normally easy ridges of the Domes de Miage showed some cracks. Not many people climbed here this week and the solitude was overwhelming as was the nature. Shot on Provia 100 slide with EOS 3, scanned. The summer was so dry in 2003 that even the normally easy ridges of the Domes de Miage showed some cracks. Not many people climbed here this week and the solitude was overwhelming as was the nature. Shot on Provia 100 slide with EOS 3, scanned.